I'm delighted to have Chana Bloch as the featured poet for The Poet on the Poem. 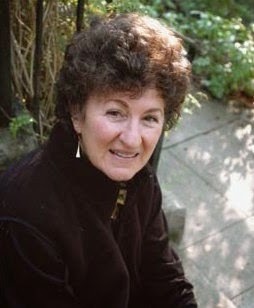 Chana Bloch, the author of award-winning books of poetry, translation and scholarship, is Professor Emerita of English at Mills College, where she taught for over thirty years and directed the Creative Writing Program. 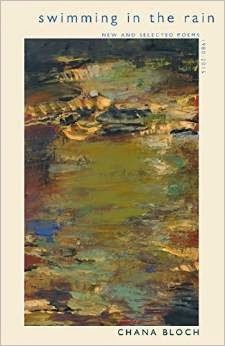 Her latest book is Swimming in the Rain: New and Selected Poems, 1980-2015 (Autumn House Press, 2015). Her earlier poetry collections are The Secrets of the Tribe, The Past Keeps Changing, Mrs. Dumpty, and Blood Honey. Her work has been published in The New Yorker, Atlantic Monthly, The Nation, The New Republic, and elsewhere, as well as in the Best American Poetry and Pushcart Prize anthologies. 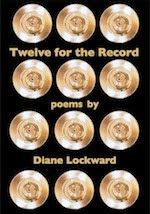 Her book awards include the Poetry Society of America's Alice Fay di Castagnola Award for Blood Honey, selected by Jane Hirshfield, and the Felix Pollak Prize in Poetry for Mrs. Dumpty, selected by Donald Hall. She is the recipient of two fellowships from the National Endowment for the Arts, in poetry and in translation, a fellowship from the National Endowment for the Humanities, the Writers Exchange Award of Poets & Writers, two Pushcart Prizes, and the Discovery Award of the 92nd Street Y Poetry Center. Today's poem comes from Swimming in the Rain: New and Selected Poems, 1980-2015. The evening is wet and happy tonight. to be watered and fed. DL: Research is clearly an important motif in your poem. How much actual research went into the writing of the poem? Which came first, the science or the love poem? CB: Research on happiness by social scientists, neuroscientists and psycho-pharmacologists has grown at a phenomenal rate over the past two decades. I must admit that I can’t help reading the stuff. So it’s not by chance that I clipped and saved a review-article by Thomas Nagle in the New York Review of Books, “Who is Happy and When?” The moral philosopher Sissela Bok, who wrote the book under review, Exploring Happiness: From Aristotle to Brain Science (Yale UP), wants to know: What is happiness? How much should we value it? Questions I’ve often thought about. I almost said that science came before love in writing this poem, but when I looked at the article again, I saw the illustration that first caught my attention—Rubens’ captivating portrait of himself and his young wife, “In the Honeysuckle Bower,” painted the year of their marriage. In both faces, the lineaments of gratified desire. DL: What do you see as the function of the two quotations you’ve woven into the poem? CB: I hope the quotes will draw the reader into the poem, just as they drew me into the review. They made me ask myself: How am I doing “on a scale of one to ten”? Contented, elated, exhilarated? Which suggests that I was ready to appear in the poem long before I made my appearance. In the version of “Happiness Research” I'd drafted a few years earlier, the scientists and the dime were already present, though not the inquiring professor. Sharing the page was “a Norwegian philosopher, 82, who recommends / daily swigs of cod liver oil / for despair:/ ‘It’s almost as good as garlic.’” That draft of the poem remained parked in a desk drawer until science and love revved up its engine. DL: In stanza 4 you suddenly switch from third person point of view to a first person direct address to “sweetheart.” This and the rain “stroking the roof” move the poem from scientific to personal and intimate. At what point in your drafting did this risky shift enter the poem? How did you know it would work? CB: Once I disposed of the cod liver oil and added the two quotes, the direction of the poem became clear. I knew I had the setting and the dramatis personae—our house (rain on the roof, a chair, and a split-leaf philodendron) and the two of us. I even had a come-hither line, which turns on the two senses of “reasonable”: the people in Calcutta are passably happy; let’s you and I be sensible. “Why not be reasonable?” might conceivably sound irritated, even reproachful, but the context makes clear that it’s playful, teasing, inviting. At that point I was more than glad to work on the poem. I was elated, exhilarated. CB: The dress, c’est moi. The truth is, I usually wore pants in those days, but a poem needn’t be true to fact so long as it is true to experience. In The Cortland Review and two beautiful broadsides, framed on my wall—the poem ended with the philodendron “doing its new green thing.” Once something is in print, I often can’t help wanting to change it. Working on Swimming in the Rain: New and Selected Poems, 1980-2015 gave me my chance. I decided that the happy plant was too nature-club-wholesome an ending for a seduction scene, so I revised and changed the order of the lines in order to end with the dress. DL: Your first three stanzas each have five lines. Then you alter this pattern and give stanza 4 six lines and stanza 5 four lines. Why not stick to the established pattern? CB: My poems often have an irregular number of lines in each stanza. Although I do write in couplets, triplets, or quatrains, I like to break the form depending on the demands of the poem. In stanza 4 I lay out my argument, so I need a little more room. And there’s a reason, too, for the quick denouement in stanza 5: so the couple can get down to business. Readers, please listen to Chana reading her poem. Please also visit Chana's poem, "The Joins," featured on Verse Daily on Tuesday, January 27, 2015. Because there are so many poems by innovative, contemporary poets, The Crafty Poet is more than a portable workshop; it is an anthology of poems written in the kind of fresh, rich, and lively language we writers want to emulate. . . Read the full review HERE. I was also tickled to see that Christine subsequently made good on her vow to get using the prompts for her own poetry and posted about her experience with the Sonnenizio, a form covered in my book. Read about it HERE. 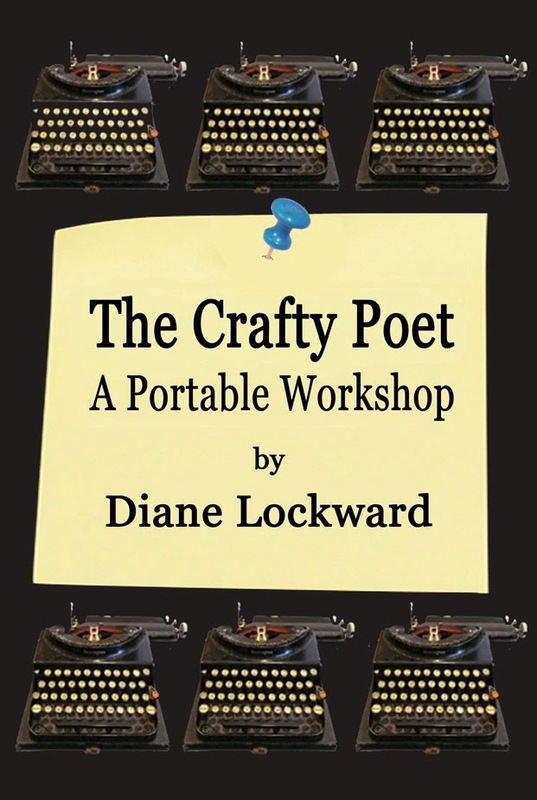 The Crafty Poet: A Portable Workshop is an essential text for any poet. 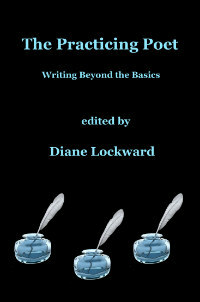 Diane Lockward has curated for us an abundant collection of inspirations and advice, and together with her many noteworthy contributors she succeeds in “making the day with nothing to say a thing of the past.” Read the full review HERE. In publication news I have a poem, “Shopping at the Short Hills Malls,” in the December issue of The Cortland Review, one of the oldest online poetry journals and I think the first to include audios of each poet reading the poems. I’m particularly pleased to be in this issue as each editor was invited to solicit work from one poet. Editors were each asked to invite a poet whose poems they liked and who they felt was making some kind of contribution to the larger poetry community. My appreciation goes to editor Amy MacLennan, the Managing Editor. I also have a new poem in the current issue of Valparaiso Poetry Review. While my publication in The Cortland Review was my debut there, VPR editor Ed Byrne has kindly included my work several times. The poem in the current issue is called “Sweet Images,” and is a form poem, a form I really liked working with. Finally, I have a new poem, “And Life Goes On As It Has Always Gone On,” in the latest issue of the print journal, burntdistrict. Like most print journals, this one pays only with a contributor’s copy. But editor Jen Lambert also offered contributors with new books the opportunity to send a full-page ad. That was, to me, worth more than the minimal fee that a handful of journals are able to offer. Poet David Kirby contributed a Craft Tip to my January 1 Poetry Newsletter. In his piece, “One Brick at a Time,” Kirby advocates the use of a journal. That’s not a new concept for most poets, but Kirby calls his a “bits journal,” and he advocates writing in it daily if possible, including lines, images, bits of conversation, song lyrics, etc. Sounds like my pages of yellow-lined legal pads. At this time of year, many poets count up the number of poems they wrote in 2014. I see their statistics on blogs and on Facebook. I don’t particularly like this bean-counting, especially when I’ve been bemoaning my lack of productivity and counting up the number of legal pads growing on my bookshelf. So it’s harvest time for me! I’m excited about that (as evidenced by the use of an exclamation point). I have so much material to work with that surely I’ll find some gems in there and get a handful of decent poems. That’s my writing goal for the opening weeks of 2015. I’m going to cut back on generating material for poems and start mining the already accumulated material for poems. I’ve thus far gone through two legal pads and dog-eared the pages that might lead somewhere. I’ve revised four very rough pieces into rough drafts of poems and typed up two of those. 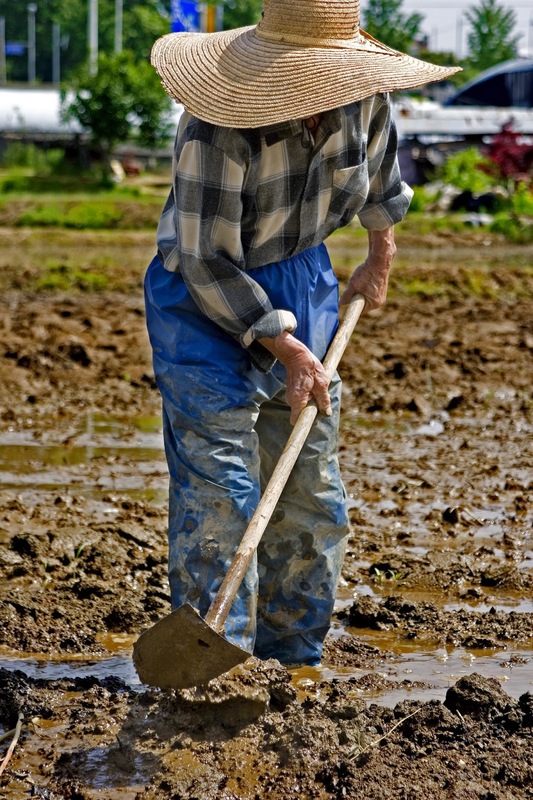 I am a farmer of poetry. While most advocates of journals advocate the kind you write in with pen or pencil, Kirby strongly suggests keeping yours on the computer: “That way, when one bit wants to cozy up to another, you just cut and paste.” He makes this a requirement for his students. After I harvest what’s in the legal pads, I might make keeping a computer bits journal my next goal.